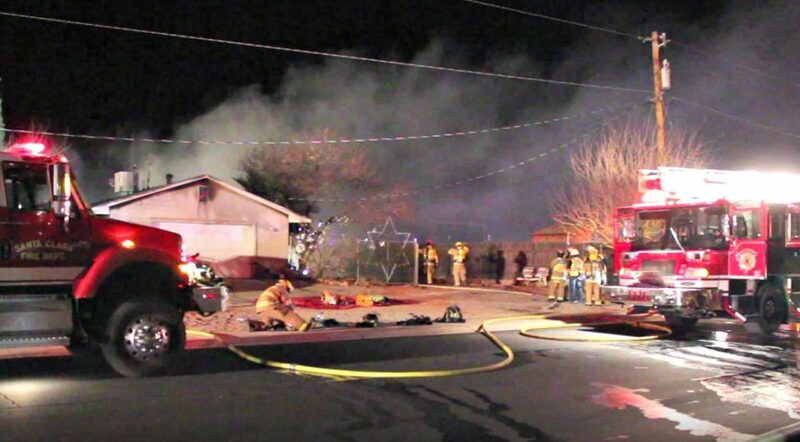 IVINS — Officials have released the cause of a fire that consumed an Ivins home on Christmas Eve, leaving one woman and possibly two dogs dead while injuring another woman. Fire investigators determined that the cause of the fire, which started in one of the rear bedrooms, was “electrical in nature,” Todd Hohbein, inspector and fire investigator with the State of Utah, said. “It appears there was an electrical fault or failure in the bedroom where the victim resided – one that had nothing to do with Christmas or holiday lighting,” Hohbein said. 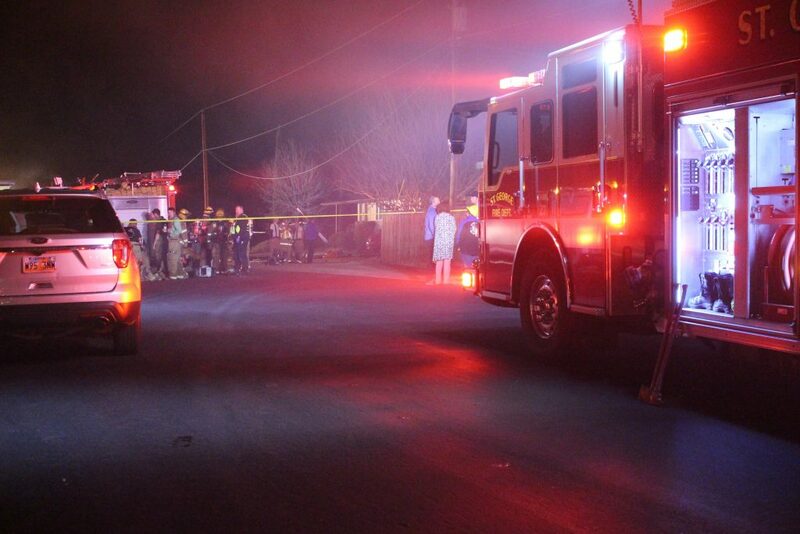 A fire investigator is called in whenever there is a death involved. 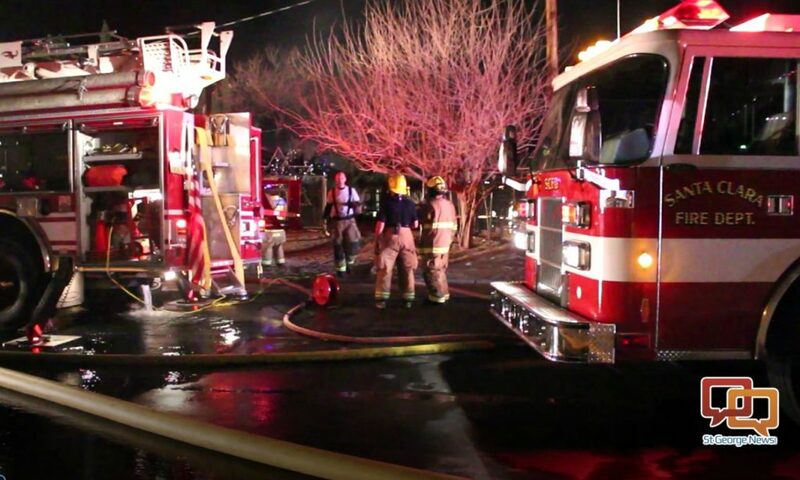 Hohbein responded in Ivins Sunday night to process the scene and to determine where the fire started as well as the cause. Firefighters and emergency responders were dispatched just before 7 p.m. Christmas Eve to the structure fire, involving a home on West 100 North, with initial reports stating two individuals were trapped inside, Santa Clara Fire Chief Dan Nelson said. 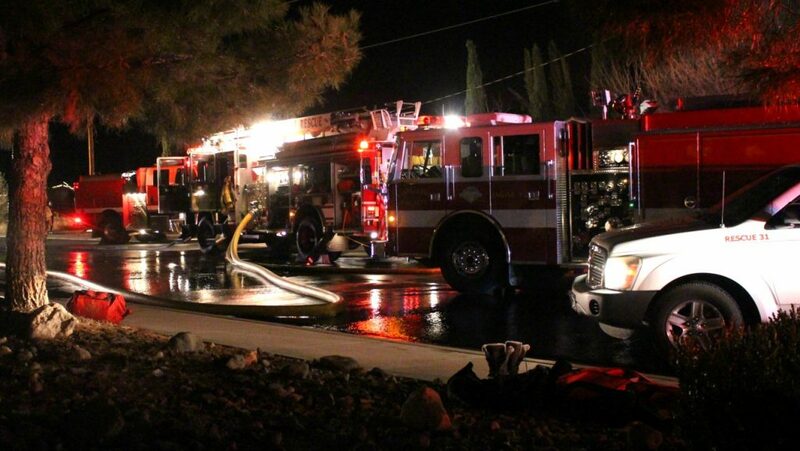 Read more: Ivins house fire kills 1, injures another Christmas Eve. Once on scene, fire personnel discovered there was an elderly woman, who was bedridden, trapped inside one of the rear bedrooms in the residence. 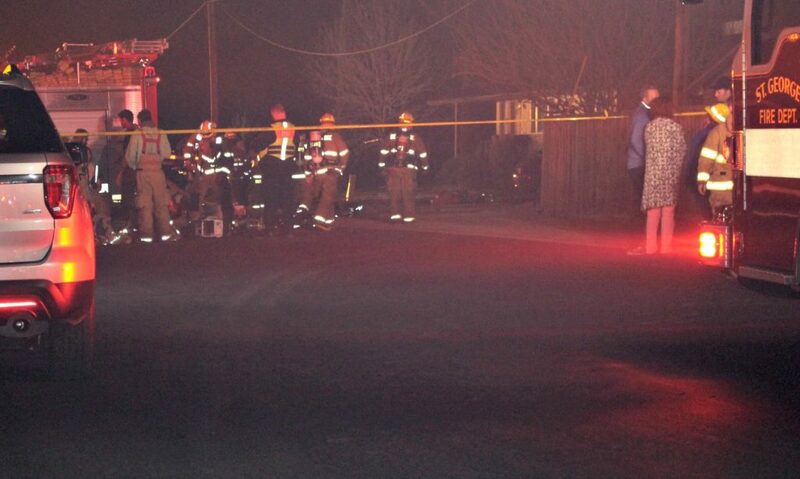 The woman subsequently died in the blaze, seemingly due to severe burns and smoke inhalation, according to officials. “Sadly, she never made it out of that room alive,” Nelson said. Earlier in the evening, the woman’s daughter had arrived at the home to find heavy smoke coming from the rear of the residence. Knowing her mother would be unable to evacuate on her own, she ran into the home and reached the back bedroom where she was overcome by the heavy smoke. She then ran outside for air, with the intent of going back into the residence to get her mom out, Nelson said. Once outside, the daughter encountered responding officers and paramedics who stopped her from entering the house for a second time, in spite of her objections, Nelson said, and for good reason. “It was very good they stopped her, because there was heavy fire involvement by the time we arrived, with dense smoke and with additional oxygen coming through the home, the fire grew exponentially, so she likely would not have made it back out the second time,” Nelson said. Firefighters were already making their way to the rear bedroom as EMT’s assessed the daughter’s condition before she was transported to Dixie Regional Medical Center in St. George to be treated for smoke inhalation and burns. According to initial reports, two of the four dogs in the home at the time of the incident were able to make it out safely. It is believed that the other two dogs died in the fire, but that is preliminary information only, Hohbein said.